Upcoming webinar on July 10th at 7:00 p.m. CST for ONLY $29.95! To purchase your spot click on the BUY NOW button below. This introductory webinar will show many pictures of our farm and introduce all of the following webinars that will be covering our 1/10th Acre Farm series. The introduction will give you the outline (BELOW) for the upcoming webinars. This training alone will give you a very good picture of our entire system. 1/10th Acre Micro Farm system! 1. Introduction and overview to pure food sustainability using the AESL cycle of life micro farm model. 2. The feasibility analysis based on goals and objectives in setting up your farm. 3. 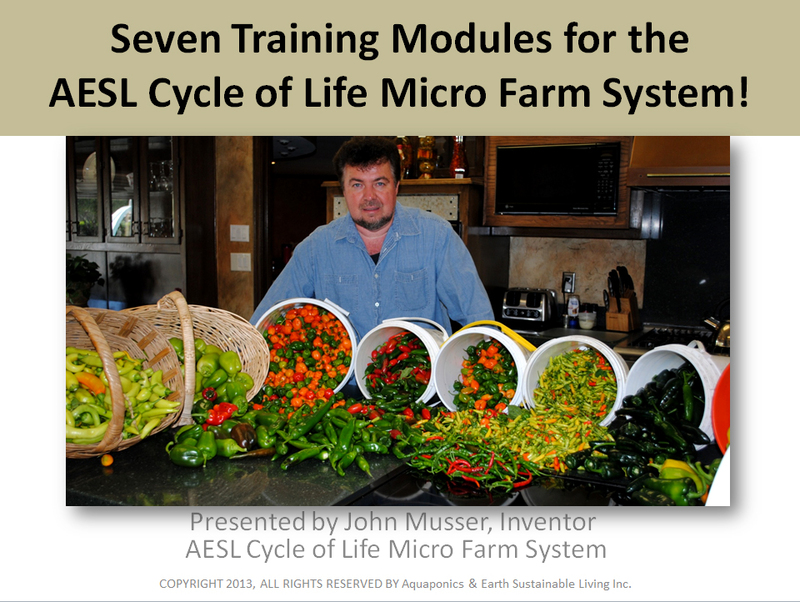 The 17 Basic Essentials of the AESL cycle of life micro farm system. 4. Making the growing substrates used in the AESL cycle of life micro farm system. 5. Making the fertilizers used in the AESL cycle of life micro farm system. 6. Getting started: Laying out the basic system. 7. Very exciting possibilities of the AESL Micro Farm.